The extent of the dramatic collapse of the Indonesian volcano, which led to a devastating tsunami on the Sunda Strait last Saturday, is becoming increasingly clear. 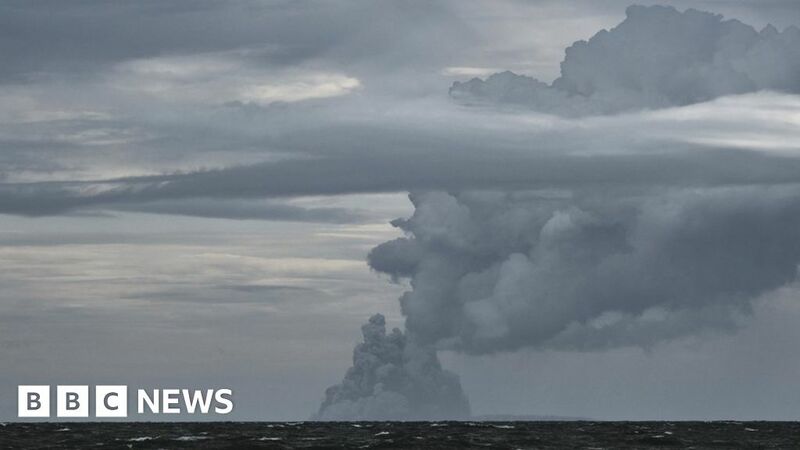 Researchers have studied satellite images of Anak Krakatau to calculate the amount of rocks and ashes swept into the sea. They say the volcano lost more than two-thirds of its height and volume last week. Much of this missing mass could have glided in one motion into the sea. That would certainly explain water displacement and the creation of waves up to 5 m high, which then flooded the nearby shores of Java and Sumatra. Indonesian tsunami: "I clung to a bank"
Indonesia's disaster agency says that more than 400 people are dead and about 20 are still missing. Over 40,000 were evicted. The Center of Vulcanology and Geological Hazard Mitigation PVMBG) studied images of several radar satellites, including the Sentinel-1 constellation of the European Union and the German TerraSAR-X platform. The ability has enabled Anak Krakatau to make initial measurements, especially on the western side. What was once a volcanic cone with a height of 340 meters is now only 110 meters high, says the PVMBG. In terms of volume, 150 to 170 million cubic meters of material are consumed, leaving only 40 to 70 million cubic meters left over existing meters. So much mass was lost on December 22 and how much is unknown in the following days. Scientists may have a better idea once they have had the opportunity to visit the volcano and conduct more extensive research. But while the outbreaks are still ongoing and a security zone in place – no one is going anywhere near Anak Krakatau. The collapse of the tsunami cone was considered a potential danger before last Saturday. Scientists modeled the possibility six years ago to even identify the western flank of Anak Krakatau as the section of the volcano most likely to fail. Although the study simulated a larger event, wave heights and coastal flooding times were predicted to be remarkably similar to what actually happened.